Well, it was good while it lasted but it seems like War Thunder has reclaimed its rightful place in the #1 spot again this week, pushing its challenger, Company of Heroes 2, down to 2nd place. Both Rainbow Six Siege and Marvel Heroes haven't budged since last week and remain in 3rd and 4th place. 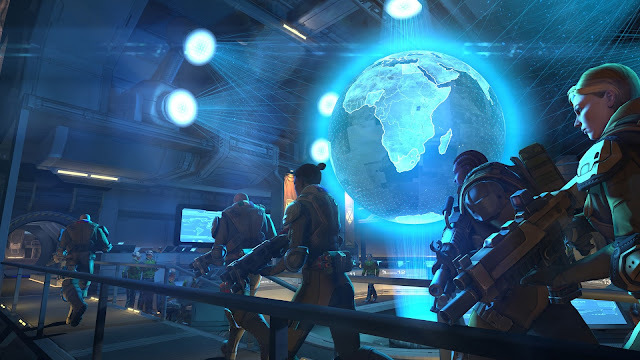 The biggest upset this week is XCOM: Enemy Unknown coming out of nowhere and securing 5th place on the list. Not too shabby and I'm all for turn-based tactics games making it on the list :). The rest of the list isn't terribly exciting: Arizona Rose and the Pharaohs' Riddles is still mid-table in 6th place (down from 5th place last week), Mass Effect is again just below Arizona Rose but is now in 7th place instead of 6th and Star Trek Online remains in 8th place. Golf with Your Friends makes a return to the list at 9th place and poor Civ VI needs some more love since it's now barely hanging in there at 10th place.